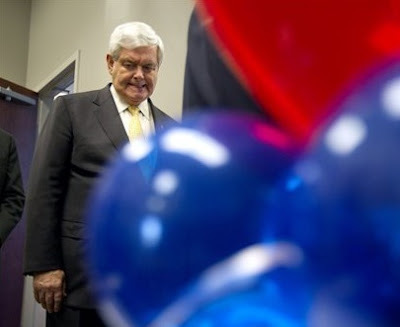 This image of Newt Gingrich taken recently demonstrates a classic nonverbal "mouth of fear", which is a relatively unusual signal to see on a presidential or any head-of-state candidates face. A very brief (less than 0.5 second) display of this expression is one of the most common and recognizable microexpressions. The microexpression of fear may or may not be accompanied by an evanescent opening of the eyelids - displaying more "whites of the eyes". Once you learn to recognize microexpressions, you'll have an additional window into the psyches of others.